Undecided voters will struggle with choosing a side, when mass media and advertisements may be biased in delivering facts and news. 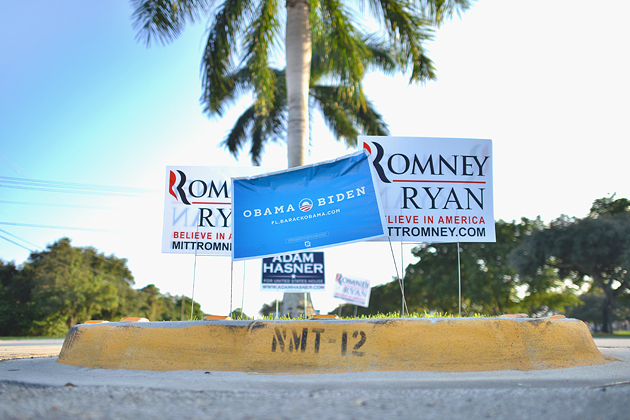 The 2012 election season has been full of ads, campaigns, debates and reports. While most of those mediums try to remain neutral and report only facts, there are stations and newspapers that sway one way or the other—which can be highly influential to undecided voters. A most recent example is the commercials being aired on primetime television against abortion—which is also against President Obama since he is pro-choice. From October 29 through November 6, pro-life advocates have bought commercial time to show ads that will “graphically show victims of abortion and victims or Muslim aggression, as well as Obama’s support of these crimes,” stated Juan Lepanto in a report from Washington. “If you have to flash a ‘this may not be appropriate for so-and-so’ message before showing a commercial, a red flag should most definitely pop up. And those images were graphic and not appropriate for an adult let alone a small child,” said Seton Hill University (SHU) junior music education major Kellie Johnson. TV stations received many letters complaining of the graphic content and the biased stance of the network. The community of Greensburg has two offices—one for President Obama and one for Governor Romney, in hopes of remaining neutral in the election season. The local newspapers are also reporting the facts–from two different views. “The person that owns the paper, owns the ink and has great influence on what is written,” said SHU library employee, Eileen Moffa. The Tribune Review is owned by well-known Conservative, Richard Scaife. This can be seen in the views of the paper. “The Trib often endorses the Republican candidate, just as the more Liberal papers endorse the Democratic candidate.” continues Moffa.